Nice day in the Baltimore Canyon again. 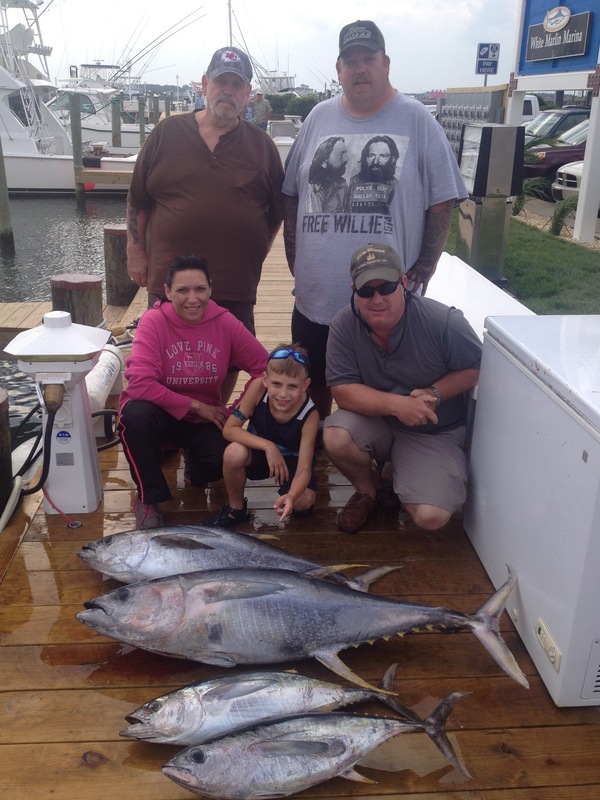 Mike, Amanda and Damon Paquette, Tom Beinkamper from KC with Bill Fout from Baltimore, MD caught 5 out of 7 tuna bites. The largest was 70 pounds. Captain Wayne Bradford, Mate Ryan “Rambo” Knapp and assistant mate in training Shannon Ehinger put them on the meat and showed them a good time in spite of some choppy weather in the afternoon. They left town with a cooler full of tuna. Great weather, great crew & great day. Bachelor party day for Joe Traficanti. 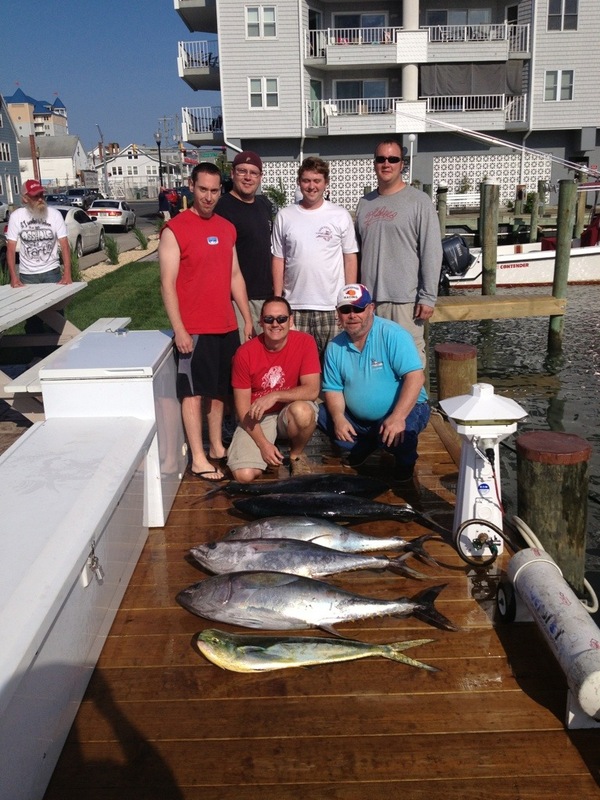 Attending and anglers were Paul Traficanti, Randy W Schaeffer (future father in law), Rob Kingston, Andy Estroff (all from PA) and Scott Cicogna (from NJ). We fished the Baltimore Canyon in 80 fathoms – 67.5 degree water – dirty green – no sign of life and we had 7 tuna bites catching 5 of them. They were all 45 – 50 pounds. Also caught 1 for 3 dolphin fish. Was a very slow day for the fleet – we were the chosen boat today.